Mactan Island or the highly urbanized City of Lapu-Lapu is known to be the home of 5-star Hotel Resorts in Cebu Philippines and also houses one of PH's busiest International Airport - the Mactan Cebu International Airport. Mactan Island is also the home of Megaworld's newest township in Central Visayas, The Mactan Newtown, modelled after the company's pioneering 'live-work-play' concept, to which the fast food giant fits perfectly. This January, the Mactan Newtown reaches another milestone with the opening of its first fast food tenant - McDonald's The Mactan Newtown which features a drive-thru and PlayPlace areas. Lots of surprises await, including a breathtaking fireworks display at night of January 7, 2013. 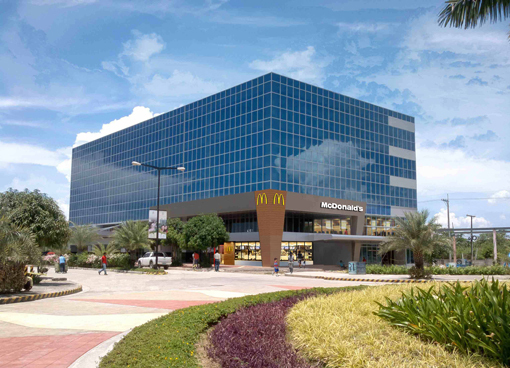 The opening of McDonald's will pave the way for the launch of upcoming commercial spaces as Mactan Newtown will house the the soon-to-rise luxury condominiums, world-class hotels, high-end retail shops and BPO offices. McDonald's is expected to help boost tourism in the township and in Lapu Lapu City, in general. It will help establish The Mactan Newtown's foothold as an ideal location for investors and BPO companies. In 2012, Megaworld successfully launched 8 Newtown Boulevard and One Pacific Residence in Mactan Newtown. 0 comments: on "Mactan Island welcomes McDonald's The Mactan Newtown"